Grimlock looks like he's choking on a French fry. They mean cheap in terms of sculpt and design simplification compared to previous lines, not build quality. It's expected to give the thickest plastic to the toys for the youngest demographic, who are mostly likely to be bashing them together/throwing them into walls, etc. Oh right, I forgot about that one guy. Nevermind. 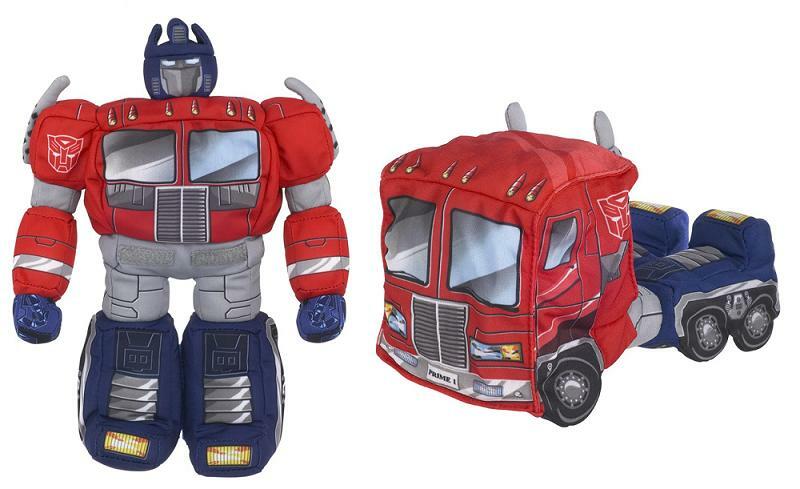 Just as long as we get a Soundwave in this. Am I the only one hyped by the fact that the plushie keychains transform? 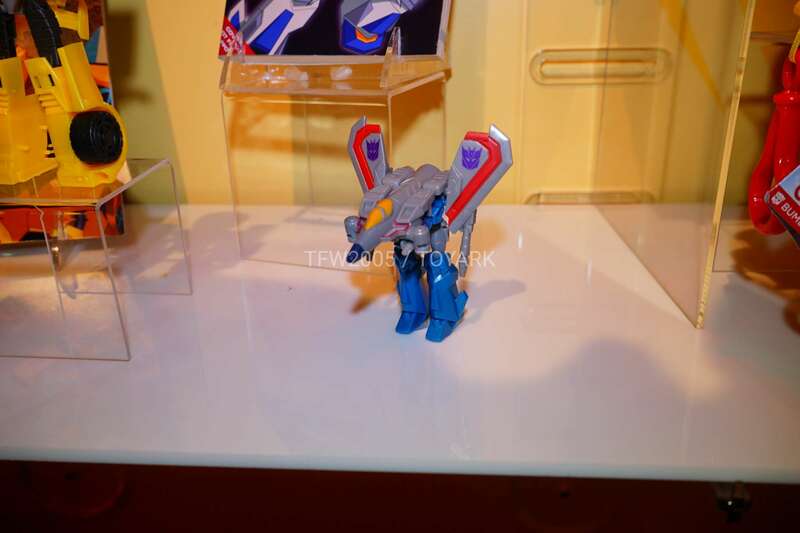 The promotional material has all been Bumblebee and Windblade, yet so far we\'ve seen no signs of any plans for a Windblade toy for the line and we\'ve seen at least three different Bumblebees, Optimus Primes, Starscreams, Megatrons, and Grimlocks. What the crap? 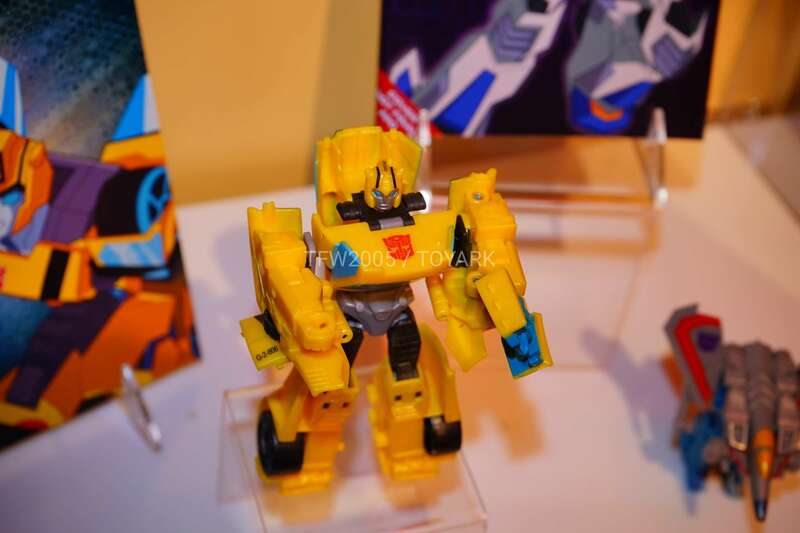 I was really hoping that we'd see the Scout class fully transformed into their alt-modes on the show floor. I really hope that I don't have to wait until they are on shelves in order to see them properly transformed. Was it said that Ultimate Class is pretty much Leader size? I think it’s about the size of a large Voyager. A little bigger by maybe 0.5”. The Warriors are 0.5” to 1” shorter than a Deluxe. The Ultimate Class is less than twice the height of a Warrior. So around 7”. The great Tragedy here is that The Warrior class is Habro thinking that it is doing a good job. There was at least (by accident or intent) the odd half decent idea in Nu-RID such as a new Transformation (3-step drift was kinda clever). There is just to many things in this line that seems compromised - either by the low cost or the gimmick getting in the way of the toys functions as a robot. I hope they have a rethink and do a better job with Rodimus and Soundwave. as this is a very poor start indeed - very poor. Welp looks like I can skip yet another line. Completely skipped ALL of the RID junk. this line looks even worse so far. 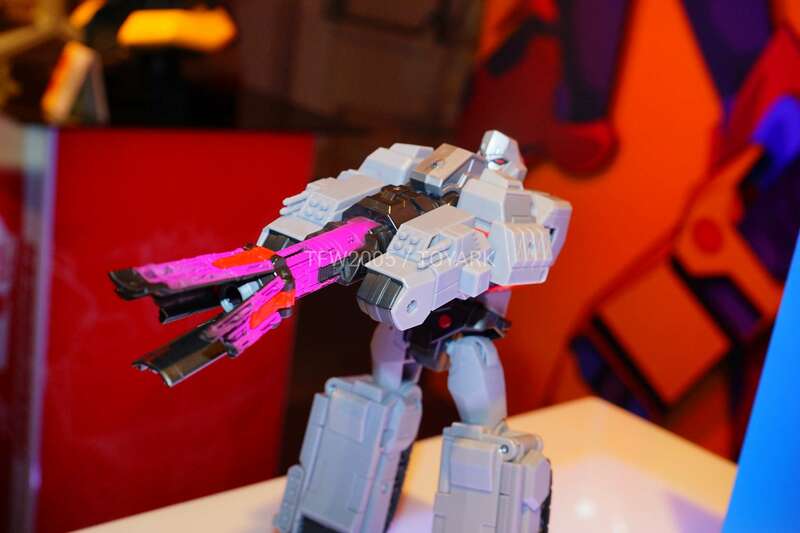 OH Shockwave looks even better then the renders..............gonna need to find a way to disable that stupid gimmick though.